Rugged construction and built to last, this scooter has enough moxy to handle Mom, Dad or the Kids! 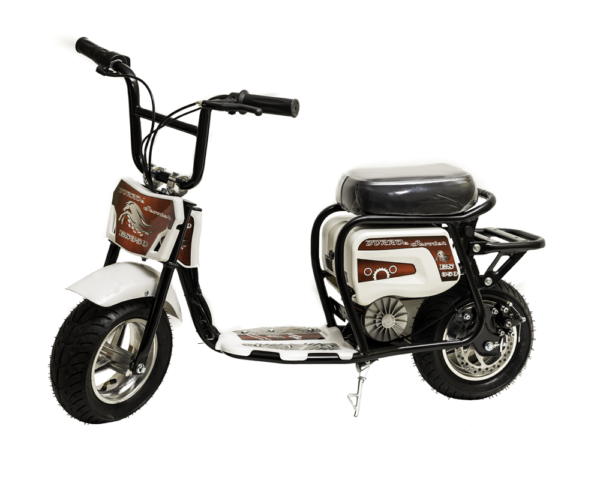 A trip to the neighbors or cruising the campground this little scooter is fast enough and rugged enough for the whole family! 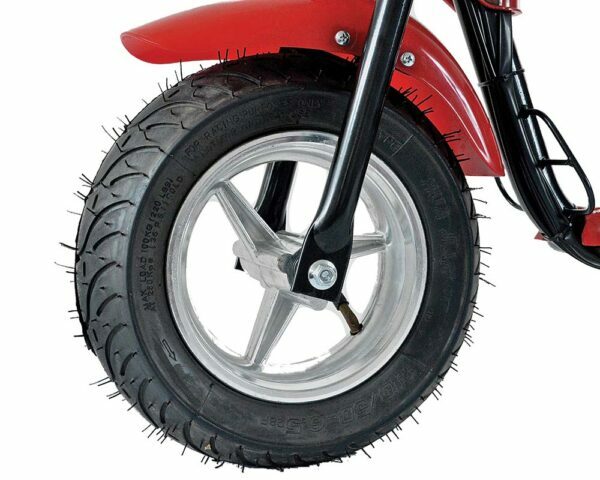 Heavy duty 3 spoke aluminum wheels and wide footprint pneumatic tires with a low center of gravity step through frame design make it easy to ride. We raised the power to a true 350W 24V power system with a variable throttle control and charge indicator mounted on the throttle for an easy charge indicator. 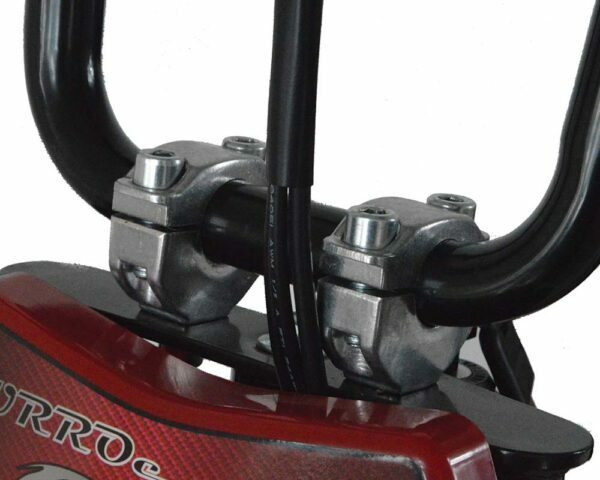 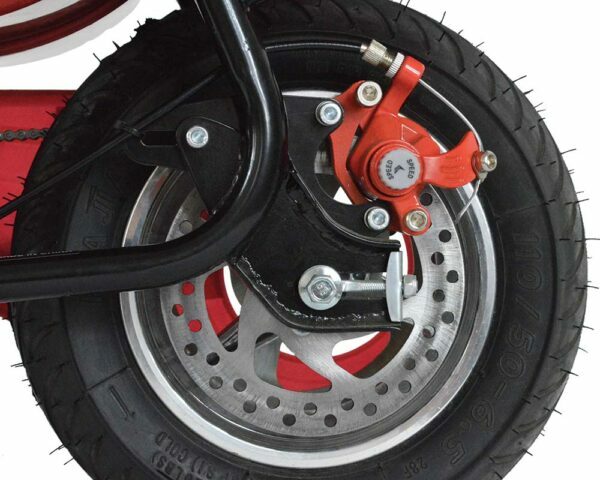 Adjustable wide handle bars for added control with 140mm Rear disc brake for quick stopping power. 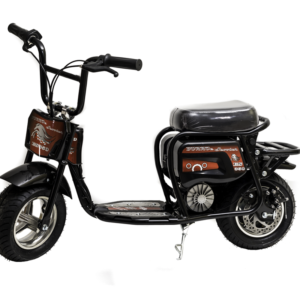 We have 3 Selctable modes that allow for teaching riding skills, a battery saver mode and a sport mode for max take off and hill climbing ability. 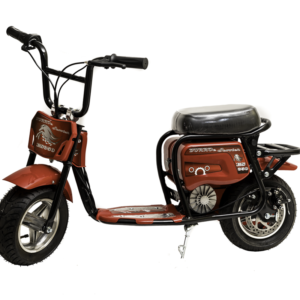 Top speed of 14 mph with a huge 2 Hr Ride Time and a 28 mile range that can be recharged in 8-12 Hrs. 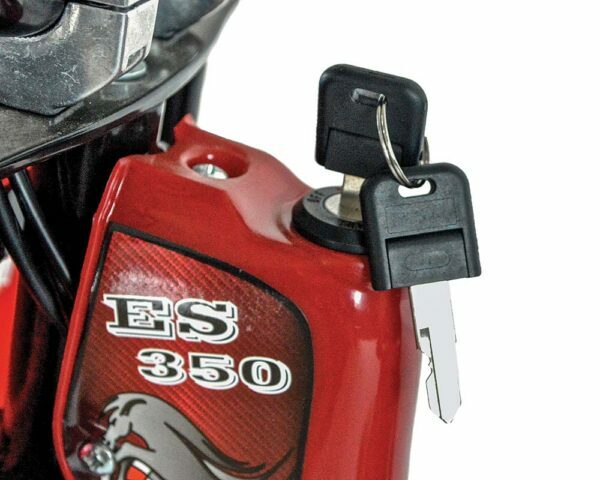 and comes with a 1.5 amp UL listed charger. 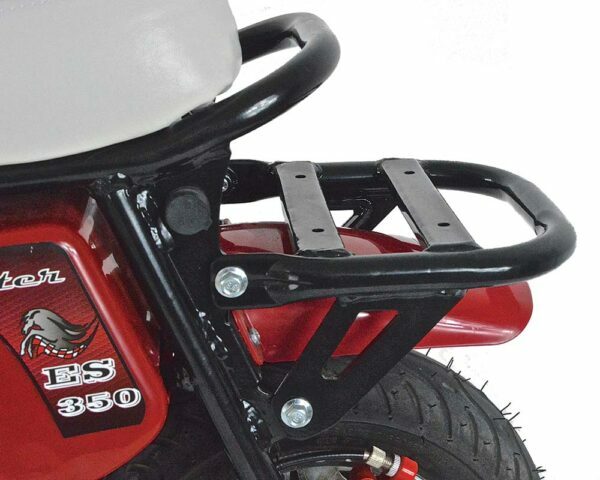 Heavy duty frame with a built-in luggage rack for your cargo needs! Keyed ignition switch for added security and simple to use charger makes for hours of fun for the whole family-We’ve got the ride for you! 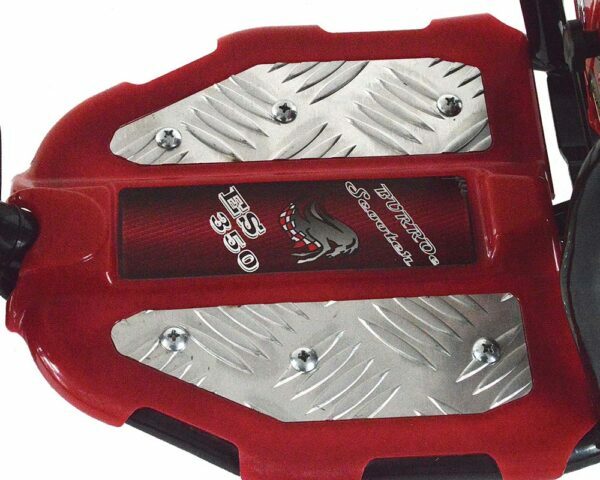 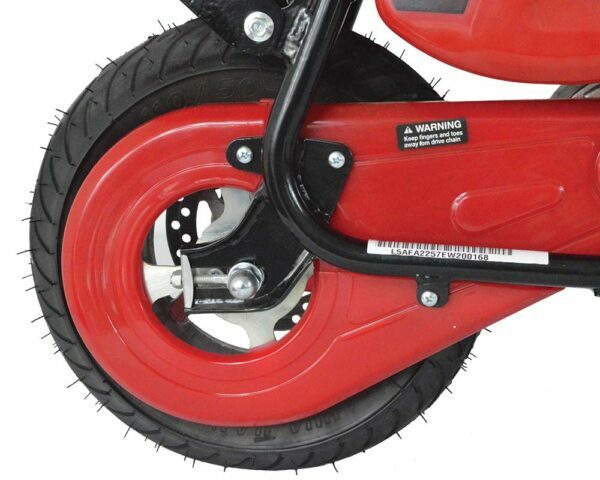 You will see the quality difference over our competitors in the Mini E-Scooter market!